This post is a tribute to my friend and mentor Gordon Browne, who died last Friday in Hanover, New Hampshire, USA. Gordon was a writer and English professor, a man who loved his large family, a consistent follower of Jesus, and a servant of the worldwide Quaker family for many decades. During his years as executive secretary of Friends World Committee for Consultation, Section of the Americas, I had the distinct intuition that he served as a sort of pastor to the entire Quaker western hemisphere. Although I first met Gordon when I was on the staff of Beacon Hill Friends House in Boston in the 1970's, I really got to know him during his leadership of the FWCC Section staff during the years 1981-88--my time on the staff began in 1983. Although I made a fair number of visits to his office in Philadelphia during those years, sometimes staying with him and Edith, I was a field staffer based mostly in my home office in Richmond, Indiana, and later, Wilmington, Ohio. Almost every week Gordon and I talked for an hour or so by phone. I took minutes, sending him the original and keeping a (literal) carbon copy. Every year, we field staff (usually there were two others) helped the Philadelphia-based staff and the COAL secretary administer our Section annual meetings. He was an extraordinary influence in my life. My parents were atheists; I don't think my father understood my conversion until very close to the end of his own life. In a spiritual sense, Gordon was my second father. I can't say what promise he saw in me, but whatever it was, he cherished and encouraged it. He had an intense loyalty to his staff, and I believe we all knew it--even as we sometimes chafed under his high expectations. His expectations of himself were also very high, and when he thought he had fallen short, he told us so, candidly. My first two and a half years on the staff were part-time, and Gordon was concerned to change that. When Sharli Powers Land decided to give up her responsibilities for Right Sharing of World Resources in favor of her other FWCC work, Gordon asked me to consider coordinating that program, which then was still directly under FWCC. In this way, I became a full-time staffer, and I began some of the most rewarding ministry I've ever done--my seven years coordinating the Right Sharing program. Although Gordon expected excellence, he also gave much freedom. He made it clear that, while FWCC served all Friends, in my own travels among Friends I was to "be myself" and bear my own Christian testimony, rather than serving up some house blend of homogenized, inoffensive quakerism. That accurate representation of part of FWCC's constituency was in fact crucial to my service, he said. He clearly valued having evangelical voices on the FWCC staff. While he was capable of the most exquisite courtesy to all Friends, he always upheld our Christian identity. As he more than once observed in talks to Quaker audiences, the idea that a Friend could be a non-Christian was a post-World War II innovation. In his service to Friends across the spectrum, he was sometimes a creative contrarian. I remember a story he used to tweak "eastern" Friends, which went something like this: A recent convert went into a Friends meeting in Philadelphia and burst into enthusiastic testimony: "Friends, I have to tell you--I've met Jesus! I've found religion!" Not content with one outburst, he got up again and said, "I can't hold it in! I'm reading the Bible--I've found religion!" After a third such exclamation, an elder stood up and addressed him directly: "Friend, you may have 'found religion' but you didn't find it here." Nor did Gordon overlook the weaknesses he found among pastoral and evangelical Friends. In reporting on a tour among some Midwestern USA yearly meetings, he rather acidly mentioned observing more than our fair share of instances of "Byzantine" church politics--observations which, as it happened, were quite right. Among his priorities for FWCC during his service at the Section of the Americas was the full integration of Latin American and Caribbean Friends into the life of the Section. At the cost of his own comfort (back problems sometimes made extended travel difficult), he made important trips to South America and Cuba, and worked persistently toward the goal of a multilingual FWCC operation. Sometimes he wondered out loud whether the Section office might not be better located in Wichita or Miami rather than Philadelphia, but in any case he was constantly working to expand our vision as an international and multi-racial fellowship. Behind the scenes, he also worked hard to improve FWCC's finances--not just for the Section of the Americas, but also for the sake of FWCC's World Office and other sections. His employment of Sharli Powers Land, a gifted artist, as communications secretary was part of another concern: to upgrade the traditionally boring appearance of FWCC communication pieces. Gordon's service on the Section staff was actually (at least) his second stint with FWCC. Earlier, he had served a term on the staff of the Quaker United Nations Office in New York City. But in terms of paid vocation, Gordon spent most of his adult life teaching English. 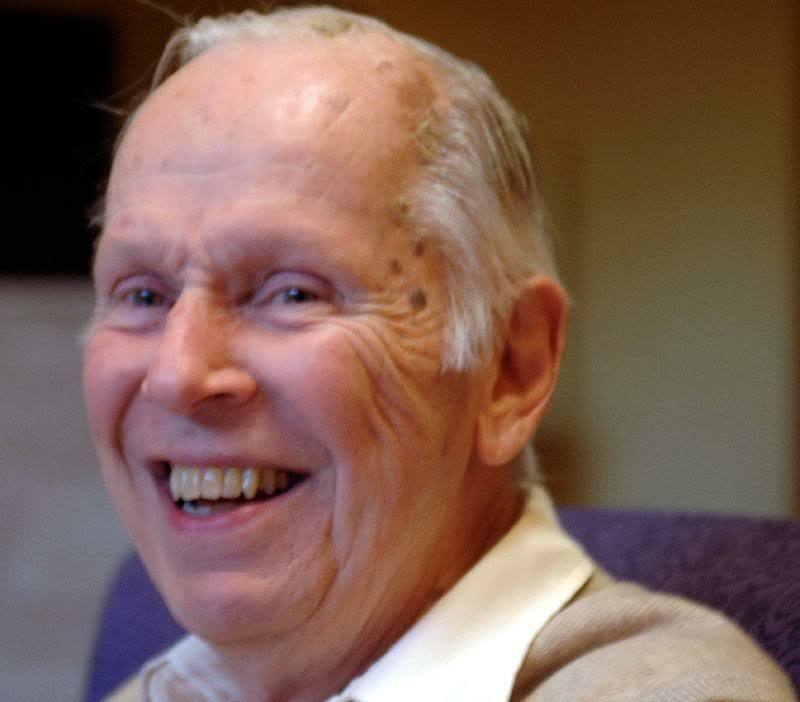 He told many stories about his years as an English professor at Cape Cod Community College. One of his favorite self-descriptions was simply the word "writer." A couple of years ago I phoned Gordon and told him about our plans to move to Russia. He responded with warm encouragement. A few weeks later I called him back; it was clear that he remembered that I had called, but none of the details. As I listened to his familiar, kind voice, a tiny burst of fear took hold in my soul--Gordon simply wasn't tracking as he always had. It was a shock, therefore, to hear about his death a few days ago, but on the level of intuition, it was not completely a surprise. With all my heart I wish I could be at the memorial meeting in Hanover, New Hampshire, on October 4, but a memorial "meeting" has been going on in my heart for several days now. Most of Gordon's service preceded the World Wide Web and Internet-based archives. For this reason, I suppose (along with Gordon's own preference for actual service over visibility), there's relatively little about him available online. Around twelve years ago, Earlham College awarded Gordon a special commendation for his lifetime of service to Friends; I could not even find a mention of that. Maybe some of you reading this can help me (and other readers) find or put more resources online so that Gordon's ministry of encouragement can continue in accessible ways. One resource I enjoyed reviewing was this PDF document--"Selected Substantive NEYM Minutes 1944-2003," which reveals both Gordon's own concerns and the constancy of his service to his yearly meeting. Update: Plainfield Monthly Meeting adopted a memorial minute for Gordon, as I report here. Thanks for taking the time to write about Gordon. I never met him and I don't even recognize the name, but I can tell he touched you deeply, and so he most likely touched a good many others. Thank you, Liz, for this kind message. Yes, Gordon directly and indirectly touched thousands. Just one more example: Gordon was a huge behind-the-scenes supporter and fundraiser for the 1985 World Gathering of Young Friends, whose echoes linger nearly a quarter-century later. I have just come from Gordon's memorial service in New Hampshire, Johan. I had printed a copy of your tribute and when I heard the buzz of talk about it (kind of "Have you seen what Johan Maurer wrote?") I was able to put it in the hands of the one person in the group who hadn't seen it. Your writing was a real gift to the family and his wider circle of friends. Margaret, thank you for all this--you succeeded in making me feel a part of that event. I'm so grateful! I spoke about Gordon and his role in my life during meeting for worship yesterday in Moscow. Johan, If you are in touch with Natasha, perhaps you could tell her that Lesley Straughton of Rook How Meeting House, nr Swarthmoor, died quietly and peacefully this evening. Lesley was a good friend to Natasha on her first visit to England. Dear Ian, I have forwarded your note. Thanks for your thoughtfulness.